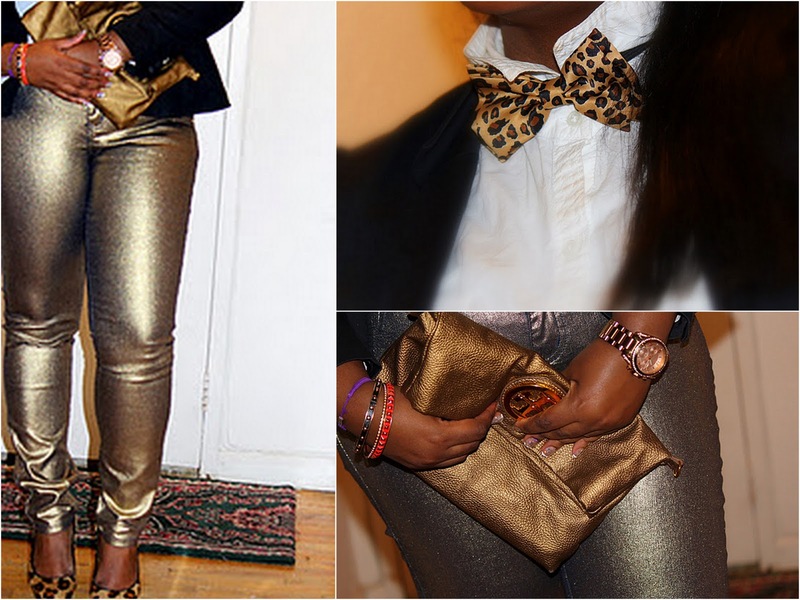 I have been on the search for a pair of metallic jeans for the longest. So imagine my surprise as I casually browsed the isles and spot these!! I held my breath as I perused the rack in hopes of finding my size. YES! The last 13. I literally ran up the escalator towards the fitting room. YES, that serious lol. Why?-It can be really difficult to find my size when it comes to trendy pieces. I had been waiting for the “right” look to wear my cheetah print bow tie with. 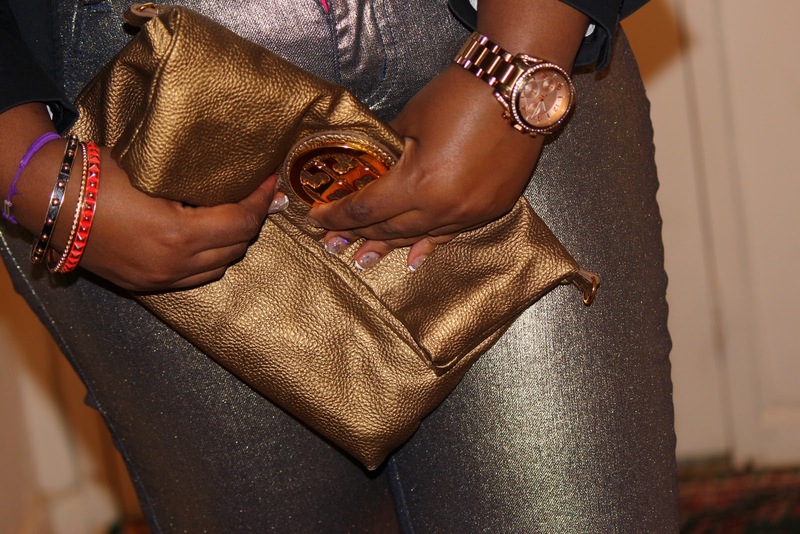 The gold, yellow,bronze hues of the jeans would go perfectly with the print. Instead of a long boyfriend blazer, I opted for a short tailored one along with a classic button down white shirt. To bring out the cheetah/leopard print, I wore my ZARA pony hair platforms. 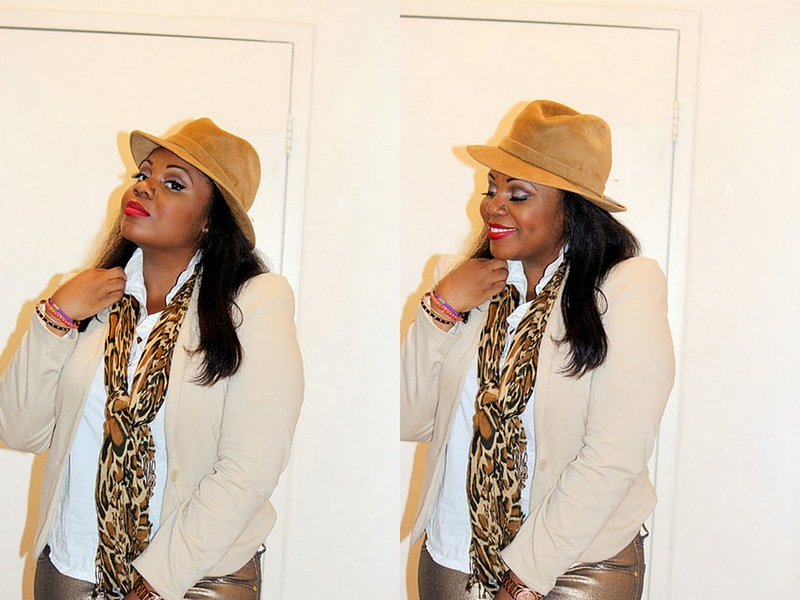 The main factor I look for in trendy and classic pieces is the ability to dress it up or down-versatility if you will. 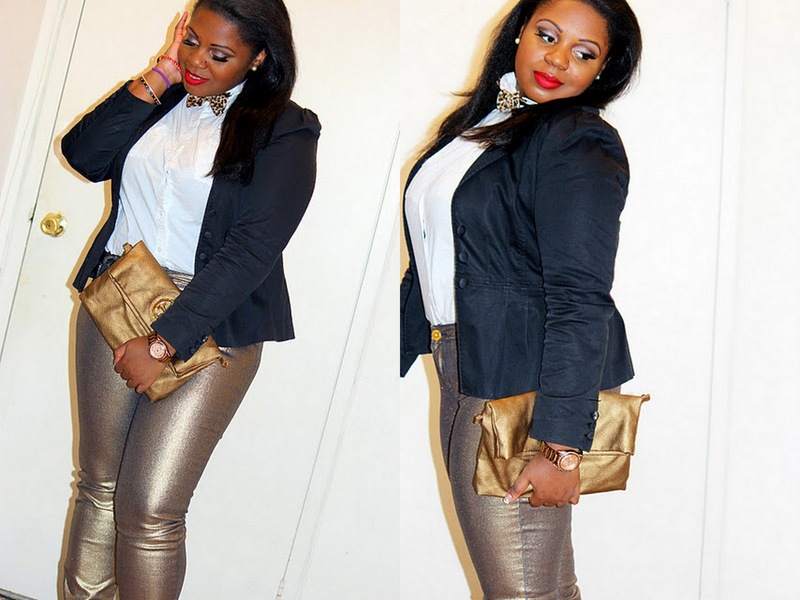 These metallic jeans definitely have that factor. Below, is my take on a more day time approach to the metallic jean. 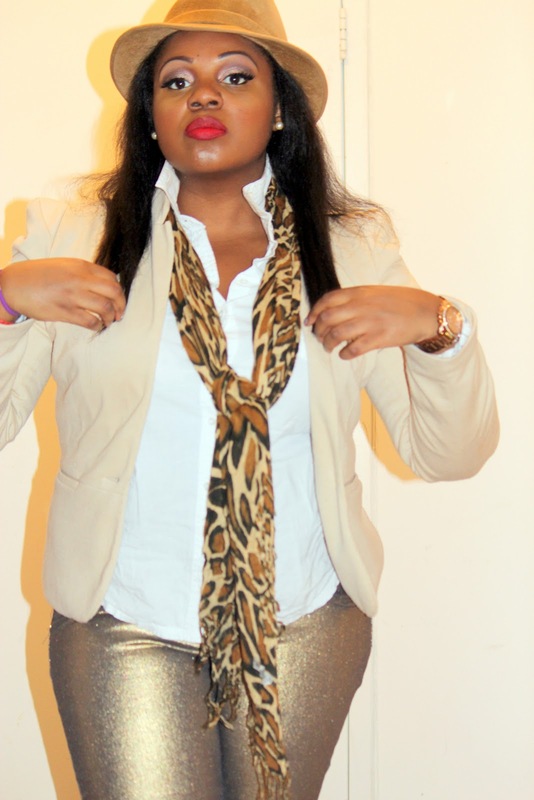 Switched the black blazer for a tan one, added a long cheetah print scarf and loafers. The hat is definitely optional, but you guys know, I love mixing masculine pieces into my everyday. *Payhalf is the equivalent of a Dots or Rainbow -clothing stores readily found at the mall. 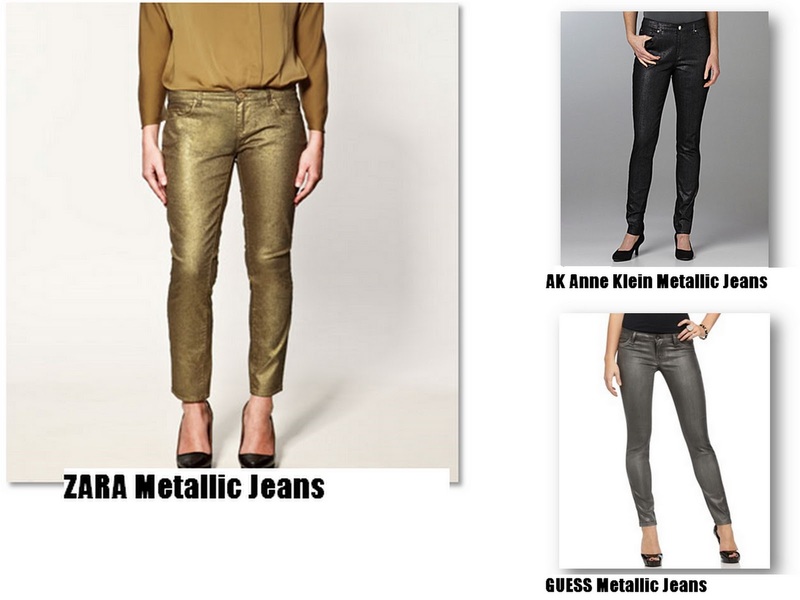 How would you guys rock metallic jeans? I soooo want me a pair!!!! U look GORGE!!!! You look fabulous! I love how you styled them…both looks are hot! So cute. I've been trying to get the Zara Metallic Jeans forever. I am going to have to check Payhalf. Thanks girl!